Dr. Lisa Griffin,Ph.D. Are you getting what you want from life? Would you like experienced guidance as you identify and achieve your goals? Even successful, intelligent people often feel encumbered by low self-esteem, conflicted relationships, unsatisfying careers, and baggage from the past. For more than twenty years, I have helped people like you uncover, understand, and transcend the old patterns that hinder them. Dr. Carol Byrd is a graduate of the University of Richmond and the Medical College of Virginia, Dr. Byrd practiced pediatrics in Richmond for nearly 20 years before retraining as a cosmetic laser specialist. In 2002, she founded the Advanced Skin and Laser Center, an independent practice that shared office space with Richmond ENT for eight years. 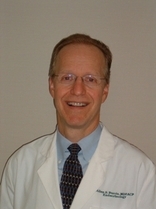 Dr. Byrd officially joined our practice in January 2011 to offer Intense Pulsed Light (IPL) and laser treatments that complements the cosmetic surgery of Drs. Armstrong. Dr. Byrd also performs treatments for removal of unwanted body hair and spider veins. Fairfax Cryobank, a Genetics & IVF Institute Cryobank, has been in operation since 1986 and has grown into one of the largest commercial anonymous donor sperm banks in the country. In addition, we have provided sperm cryopreservation and storage services for individuals and oncology patients at our Fairfax, Virginia and Austin, Texas facilities.